drivingandlife: MERCEDES-BENZ SLC 300 - MY NEW FAVOURITE SPORTS CAR? 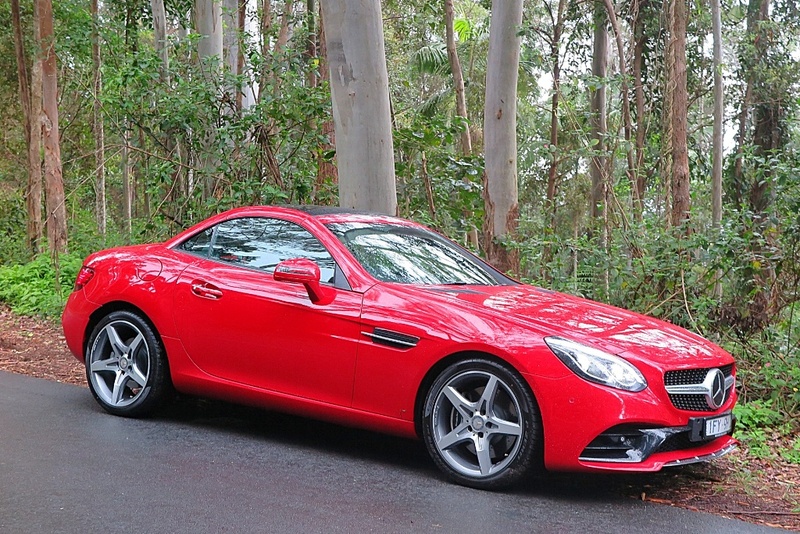 MERCEDES-BENZ SLC 300 - MY NEW FAVOURITE SPORTS CAR? The Gap is the suburban frontier on the western edge of Brisbane. As you depart the manicured estates and climb into the eucalypt bushland that nestles up to both sides of Mount Nebo road, the smooth ribbon of sinuous blacktop enters the dense forest of the d’Aguilar National Park, where it ducks and dives over sharp undulations and around a lot of closing radius bends. It’s a driver’s delight, and right now I’m discovering, perhaps, my new favourite sports car. 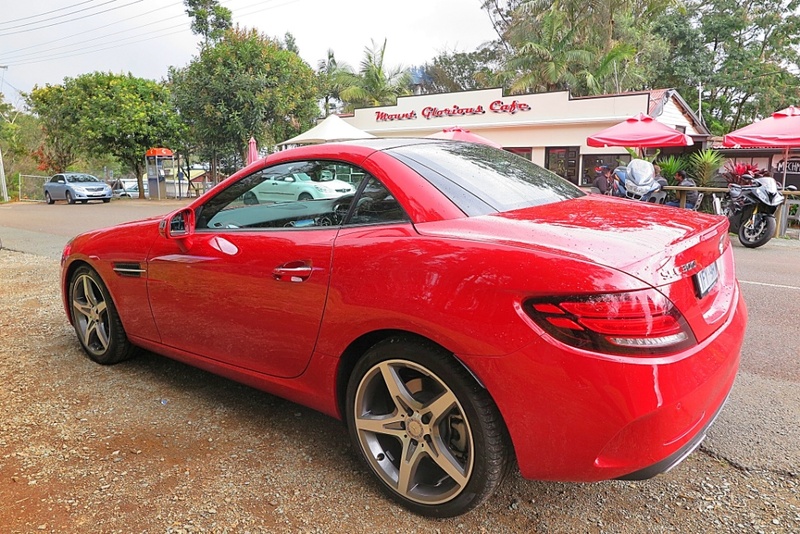 I’m punting the 2016 Mercedes-Benz SLC 300 in a very spirited manner, using the G-tronic 9-speed transmission in manual mode, flicking up and down through the gears with the steering wheel paddles. 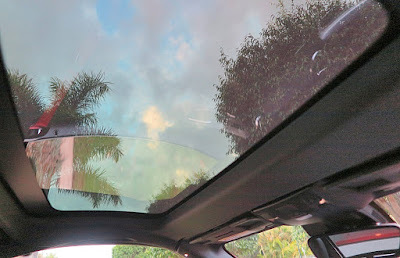 It’s wonderful, sheer driving joy, and although on this day it’s a solitary pleasure, the experience is memorable. 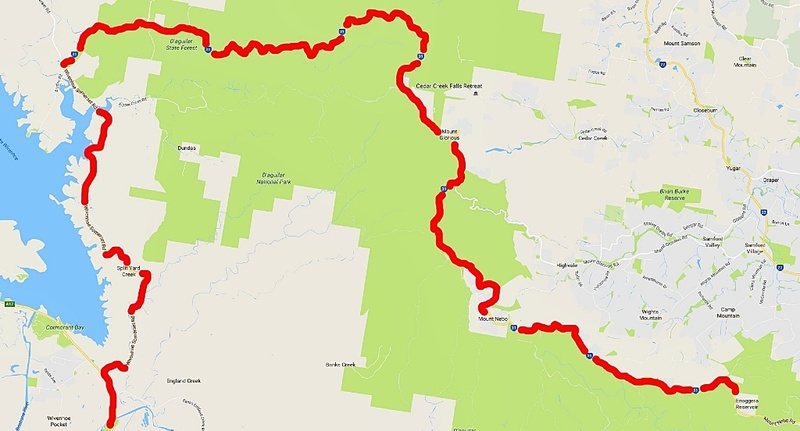 The main section of this exhilarating blast covers a mere 62km, from the Ennogera Reservoir to the junction with the Wivenhoe-Somerset Road, and takes just over an hour – however, in my opinion (traffic notwithstanding) it’s one of the best driving roads close to Brisbane. I'm afraid that when I'm faced with corners like these; it's like cheese to a mouse. Snap! 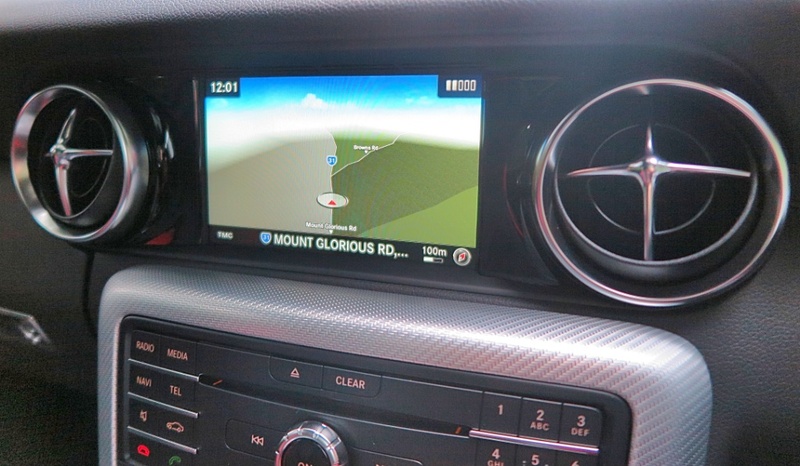 It changes names along the route, from Mount Nebo Road, to the Mount Glorious Road, and finally the Northbrook Parkway. It’s a favourite with motorcycle riders, who usually figure in a pit stop for coffee and cake at the Mount Glorious Café. 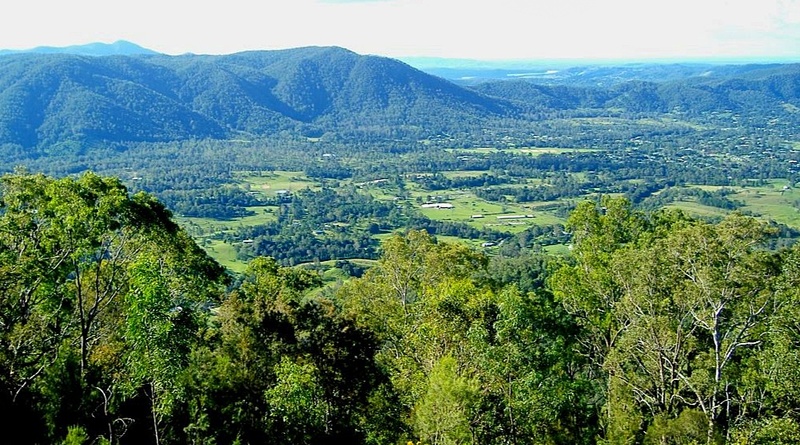 The views of the d’Aguilar National Park from the higher elevations of the drive are spectacular. 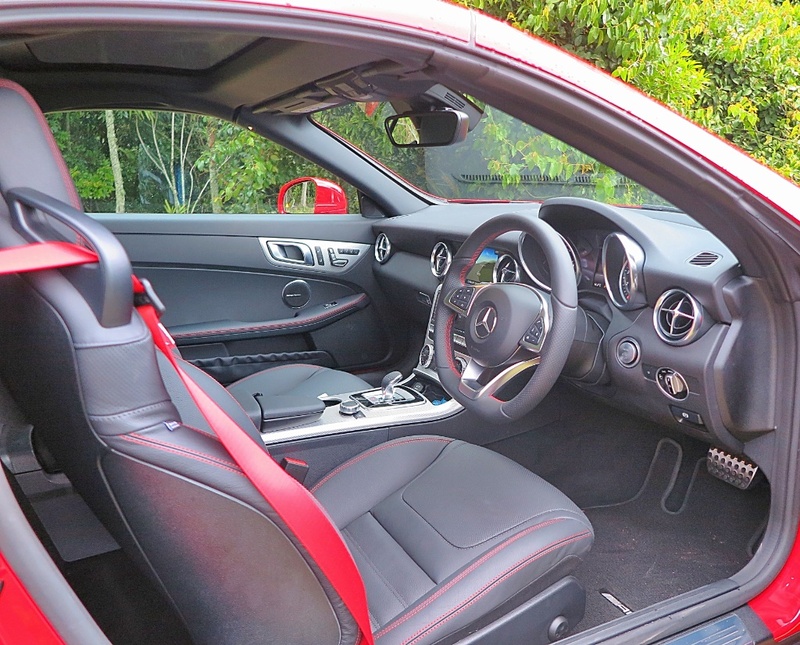 Like all Mercedes-Benz models with sporting overtones, the car can be configured in Comfort or Sport, Sport+ modes, but I didn’t bother fiddling with it. I used Comfort mode for the entire drive and found the handling pin-sharp, and the ride quite acceptable. However, if I was driving much harder in the same conditions, it would be a good idea to use 'Sport +', and in that configuration the car is so smart you don't even have to use the paddles, the car changes for you. 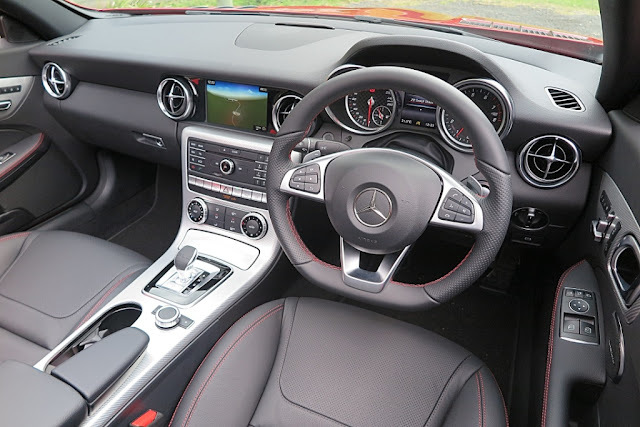 The compact SLC 300 is definately an appropriate size for a quick blast at full enjoyment, and its agility is matched by the responsive 2.0L turbocharged four cylinder engine, which knocks out 179kW at a lazy 5500rpm, and very useful torque of 370Nm at 1300 rpm. 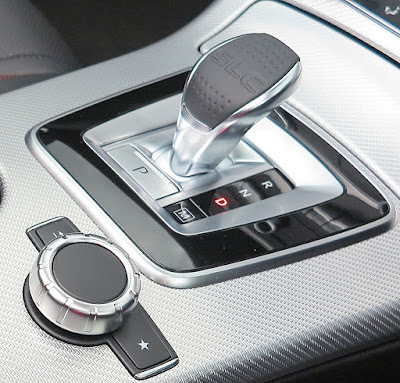 The 9-speed G-tronic transmission is a regular torque converter type, but it always offers the right gear for the moment, and shifting is slick. I like it! At 2668mm long, sitting on a wheelbase of 1568mm, the 'new SLC' is easy to place on the road, and squirts out of slow corners with verve. When I say ‘new’ that’s simply a reference to the refresh for 2016. 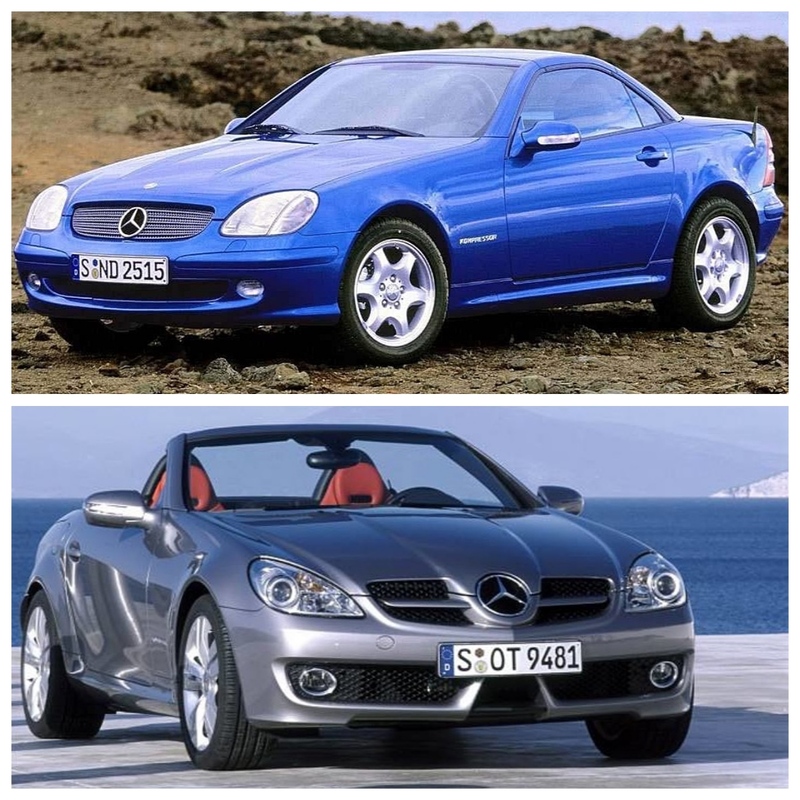 The basic platform goes back a l-o-n-g way, to the original SLK circa 1996 (top right), with a slight update in 2004 (bottom right). 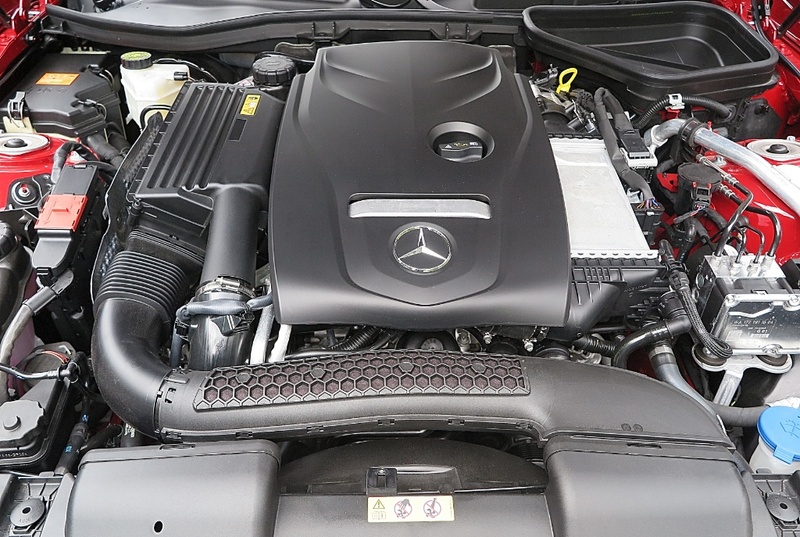 So, in fact this is not a truly 'all-new' car from Mercedes-Benz, but it’s entirely competent, and the changes for this latest iteration have improved what must have been a pretty slick car originally. Exterior skins are easy to change to alter the appearance, but it’s in the cabin where the age of the design is most apparent. Most of the ‘hard points’ ensure the designers had very little flexibility to make significant changes. 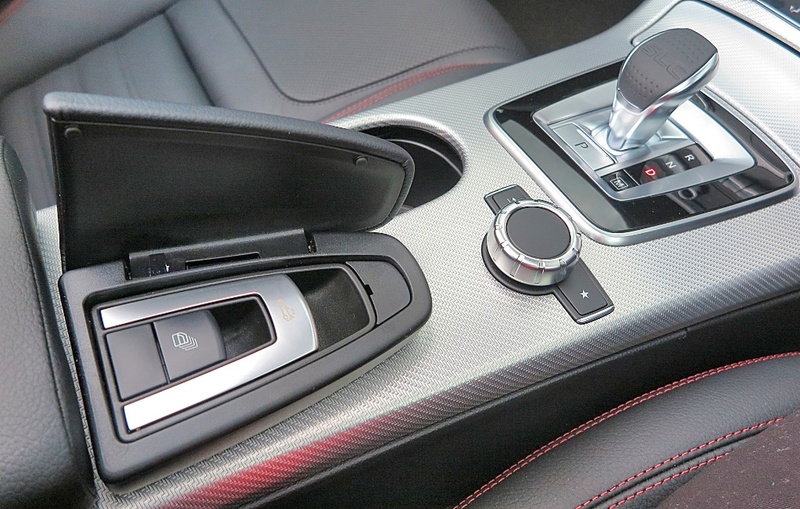 The shape and dimensions of the dash, and in fact most of the IP, have simply been ‘tarted up’ – however apart from me being a smart arse by pointing this out, what faces the driver is perfectly adequate and it has all the stuff you need, in the right places. It is, however, inconsistent with current cockpit design and functional switch placement in the all-new cars from Stuttgart - the new C-Class, E-Class, and the smaller CL A class cars. Having just stepped out of a brand new E220 to drive the SLC, it did take15 minutes or so to find my way around the settings process to decide on the preferred activity settings. On the road, changing from Manual to Auto is a separate switch on the transmission quadrant, and there’s no illuminated indicator anywhere, except on the digital readout between the dials to tell you if you’re in Manual or Auto. For an owner who will drive the car everyday this isn’t a issue. 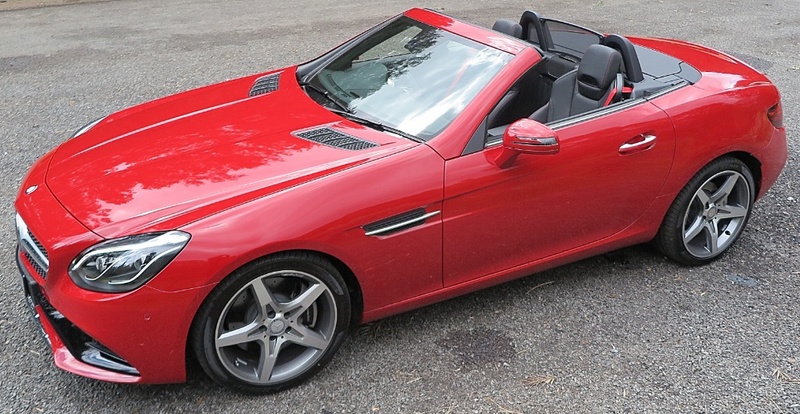 Like the SLKs before it, this is a steel hardtop convertible, which may offend soft-top convertible purists, but the efficacy of the feature works just fine, and provides a quiet seal from weather and external noise. The raise/lower switch for the roof is hidden under a hinged lid, behind the transmission selector. The roof has a glass centre section, which provides welcome, filtered light in the closed cabin and I found it cosy. Of course, folding steel hardtops definitely limit the amount of luggage you can carry and the SLC 300 is no exception. 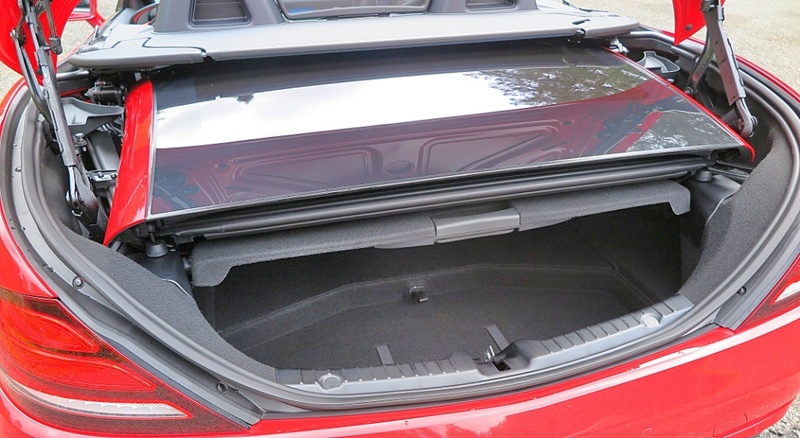 There’s a space under the shelf below the roof (when it’s stowed) that Mercedes-Benz says offers 180 litres; but you’d be well advised to use the space for ‘stuff’ packed in a range of soft bags, that can be ‘squished’ together rather than battling to load hard cases. You’d maybe get one 62cm bag in there, with other stuff packed around it, but it’s certainly limiting if you planned a long road trip. 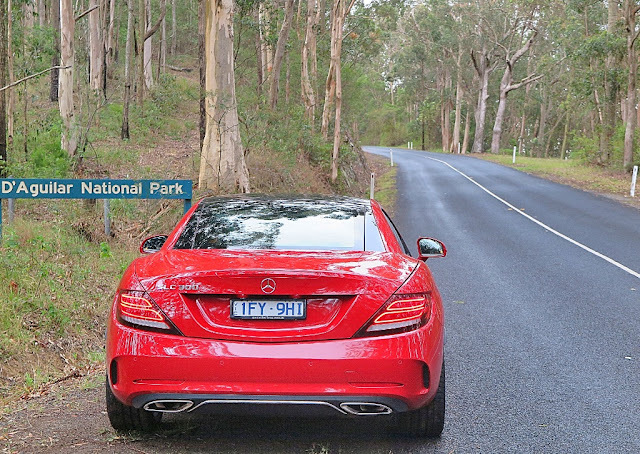 However, you’ll certainly enjoy any road trip in this car. The flat torque curve, plus the flexibility of the 9-speed auto provides excellent response, and the handling is delightful, with the SLC pointing confidently into tight or gentle curves, and the engine pushing the car out smoothly on exit. 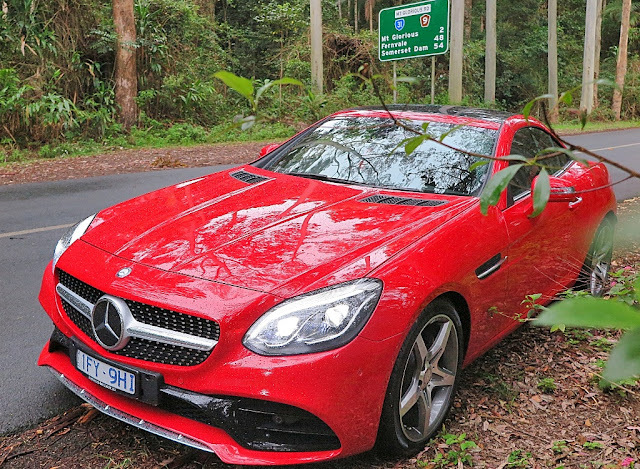 On the twisting Mount Glorious Road, the SLC 300 was a LOT OF FUN, and I never had a moment, despite a slightly damp surface, with a lot of wet leaves strewn across the road. 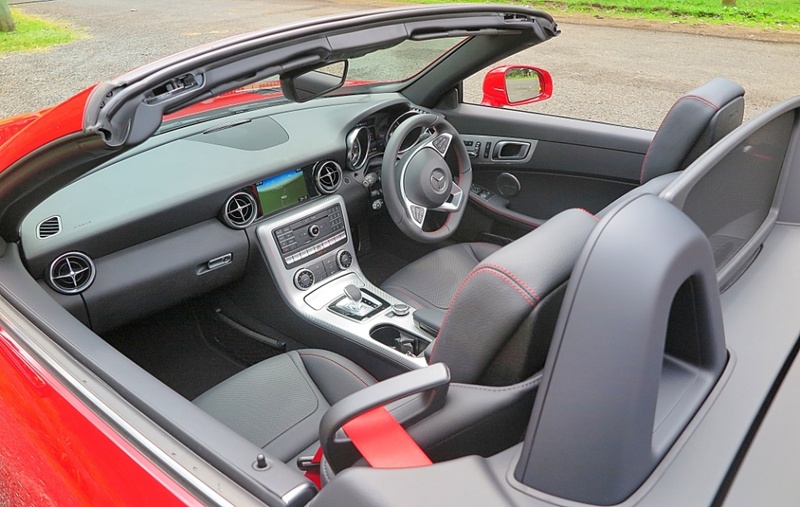 There’s no tricky stuff like torque-vectoring, but because of its compact size and excellent grip from the Pirelli P-Zero tyres, the SLC 300 is nimble and really fun to drive quickly. The tyres are different sizes: 225x40 front and 245x35 rear, on 18 inch AMG wheels, and clearly it delivers excellent adhesion and handling balance. 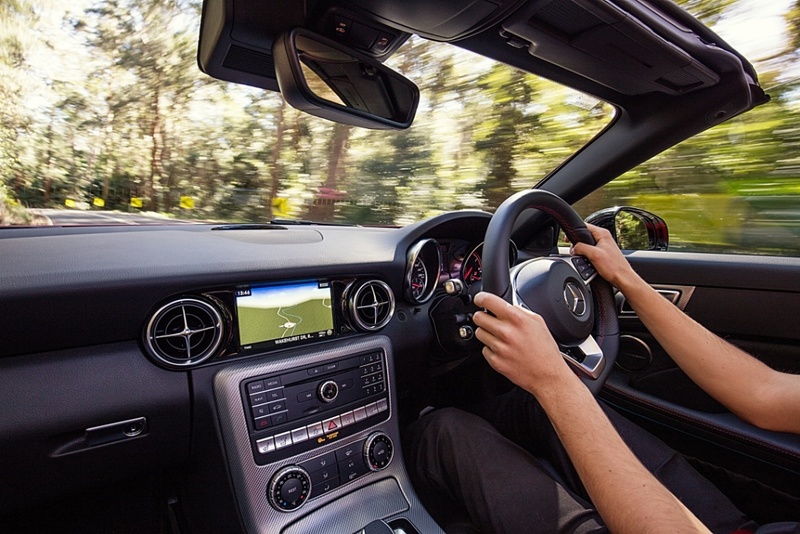 The SLC 300 doesn't really have any logical competitors, it's just a really big step up from a Mazda MX-5! Great opportunity for a resurgent Jaguar? All round, priced at AUD$100,000 in basic form, and AUD$107,355 with two option packs (AUD$4,250 COMAND and AUD$3,250 VISION) it isn’t outrageously priced – except if you compare those prices to its USA pricetag of USD$48,275 (base). I think it does stretch the value-for-money concept a little. Then you begin to ask, “Why do Aussies pay so much more for the same thing?” It’s a sobering consideration. Still it was LOADS OF FUN while it lasted! I'll close with one final thought. Of all the great cars I've had in my driveway recently, THIS is the one I'd like to keep in my garage, permanently.